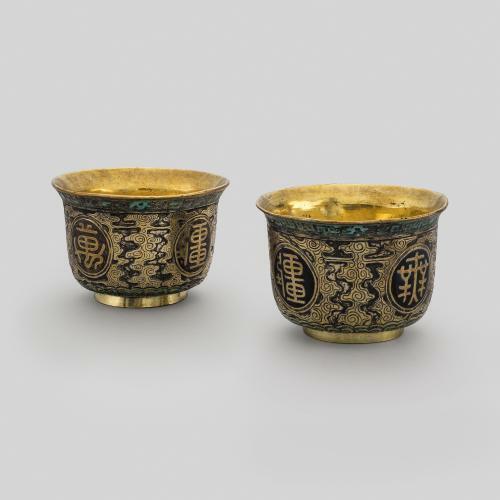 These tea bowls were made during the mid-18th century and at one time belonged to a Chinese Emperor. Both have labels on the underside reading: ‘Taken from Summer Palace Pekin 1860’, indicating that they were looted from the palace during the events that ended the Second Opium War (1856-60). In October 1860, French and British troops stormed, looted and destroyed the Summer Palace and Old Summer Palace in what is now Beijing. 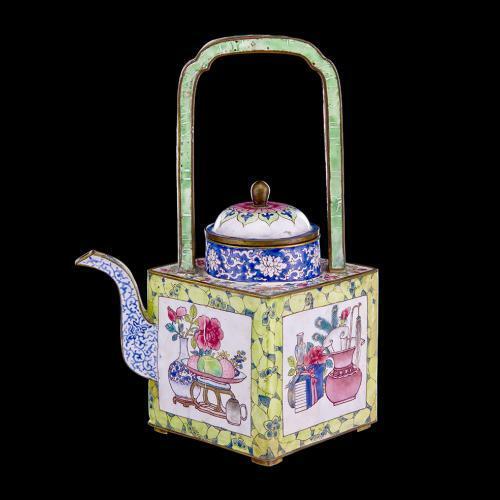 A number of items taken at this time have subsequently entered various international collections. 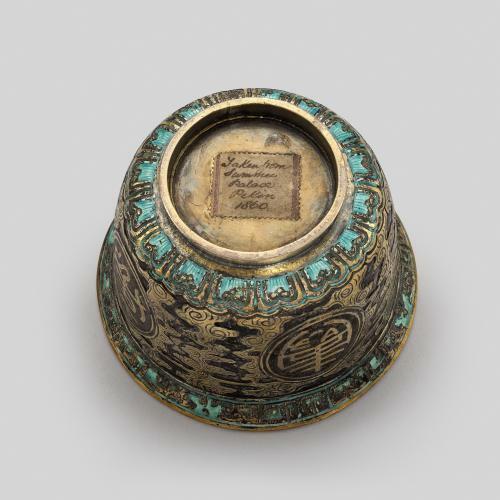 The provenance of these bowls suggests that during the Qianlong Period such cups were not made solely for export to Europe but were also appreciated in Imperial China. The bowls have been decorated using cloisonné enamel, a technique that involves the application of a coloured-glass paste within enclosures made of thin copper or bronze wires that are arranged on the body of the object to create a pattern. The object is fired at around 800 °C and then rubbed to expose the cloisons (French for ‘compartments’). 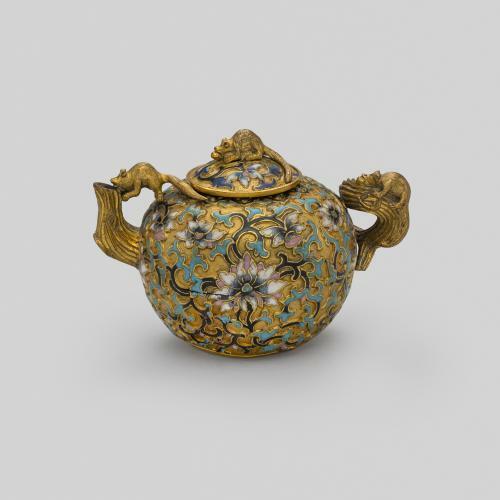 When cloisonné vessels were originally created in the 14th and 15th centuries, they were intended for the furnishing of palaces and temples due to their elaborate appearance. The bowls are incised in low relief with the character ‘wan shou wu jiang’, meaning ‘long life without end’.